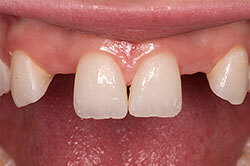 Often people have no idea how a certain dental treatment should look or the difference a procedure might make. 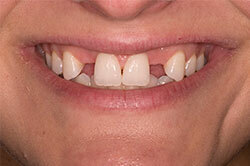 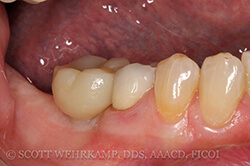 Here are actual “before and after” photos representing most of our common procedures. 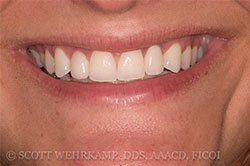 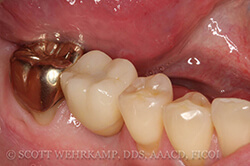 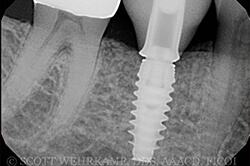 One thing you will realize is many cases require a combination of procedures to accomplish the desired result. 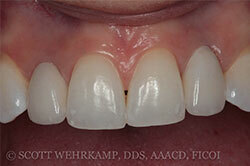 But many cases also require less than the patient had originally expected. 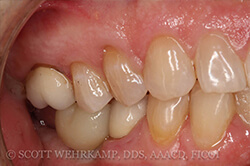 This 18 YOF was congenitally missing two upper lateral incisors, which needed to be added and restored to complete her smile after braces.